Jon Bird explains how “New Retail” is a critical chapter in the comeback story of physical retail, and the evolving narrative of the digitization of all retail. 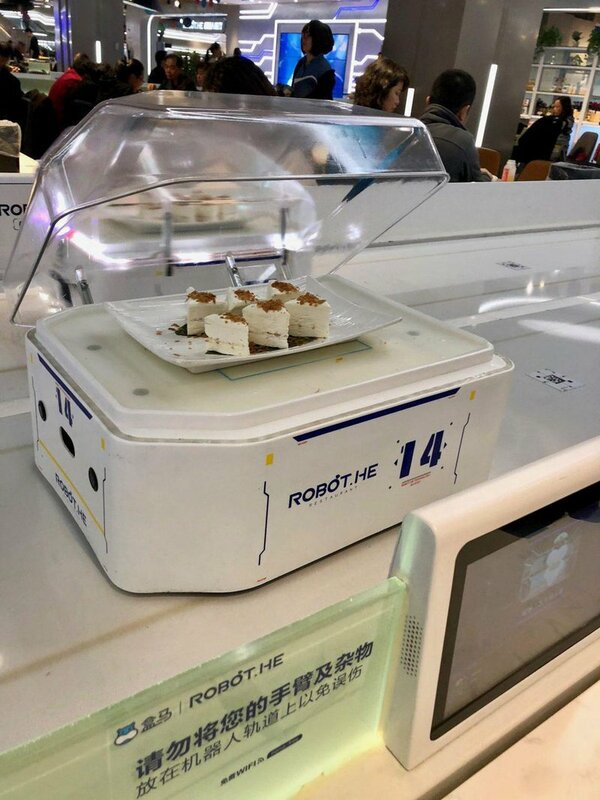 I am sitting with a group in Robot.He, Alibaba’s robot-driven restaurant, inside its Hema supermarket (now called Freshippo) in Shanghai, China. A robot waiter glides silently up beside our table, twirls elegantly, and flips open its lid, delivering our dessert. Is this “New Retail” service? Later that day, our team visits Starbucks Reserve Roastery, the world’s largest Starbucks, also in Shanghai. 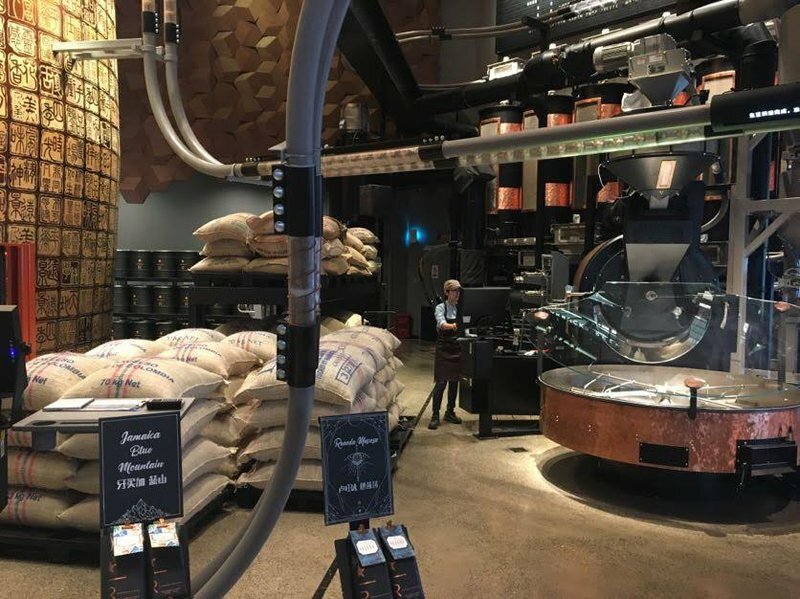 I watch as locals take advantage of the Augmented Reality (AR) function built into their mobile Taobao app (powered by Alibaba), and immerse themselves in the story behind the giant copper cask that holds freshly roasted coffee beans. Is this a “New Retail” experience? “New Retail” is the phrase coined by Jack Ma, Alibaba co-founder and soon-to-be-retired Executive Chairman. In a 2017 letter to shareholders, Ma announced it as the “starting point to our ‘Five New’ strategy – comprised of New Retail, New Finance, New Manufacturing, New Technology and New Energy.” But what is “New Retail”, and is it really all that new? Ma explains it this way in the letter: “E-commerce is rapidly evolving into New Retail. The boundary between offline and online commerce disappears as we focus on fulfilling the personalized needs of each customer.” OK, but that’s still not crystal clear. In a briefing session at Alibaba’s 11.11 Global Shopping Festival, the picture came a little more into focus. Freshippo CEO Hou Yi explained that the supermarket (now approximately 65 stores and growing) is an “experience center plus consumption center plus logistics center” rolled into one – a seamless convergence of offline and online. At a private dinner with Michael Evans, President of Alibaba, he told a personal story which also helped to illustrate the concept. Evans was returning a jacket to a physical store, which he had purchased via e-commerce. The store was not able to recognize the item and make the connection between online and offline inventory, and wouldn’t accept the return. “That’s when I realized what New Retail is and what it isn’t”, said Evans. He went on to talk about the intersection of the “consumer value proposition” and the “merchant value proposition” inherent when online and offline are properly integrated. From a consumer’s point of view, it’s just easier to shop and the store flexes to the shopper’s individual needs. From an operator’s perspective, when everything is connected and data is visible and plentiful, efficiency and productivity is maximized. I can also order fresh seafood any which way – delivered, pick it up raw or cooked, or have it prepared to eat in store. In the physical space, everything is driven by the app. When I scan a code on the product tag, it tells me all I need to know about the item’s origins and journey from farm to shelf, plus I can access product detail, ratings and reviews – just like online. Because Freshippo can analyze a constant stream of real-time data, merchants can ensure just the right amount of fresh product is on the shelves for that day’s trade. (A central part of the concept is to encourage daily shopping, and some of the fresh produce is packaged to display that day of the week – e.g. Sunday). At the checkout, I use my app to finish the transaction, or complete payment via biometric facial recognition. My purchase history is all consolidated, so Alibaba has a comprehensive view of my shopping behavior. The store also serves as a distribution center. Pickers roam the floor, filling online orders, then load bags onto conveyor belts, which whizz above shoppers’ heads, destined for delivery. Starbucks is also testing “Star Kitchens” in two Freshippo supermarkets – non-customer facing coffee kitchens which purely make drinks for delivery (also in 30 minutes or less) via Alibaba’s Ele.Me service. In the Robot.He restaurant, I also use my app to order and pay. So this is “New Retail” in action. And it doesn’t stop at supermarkets. Alibaba’s New Retail platform is being used to digitize hundreds of thousands of stores across China. 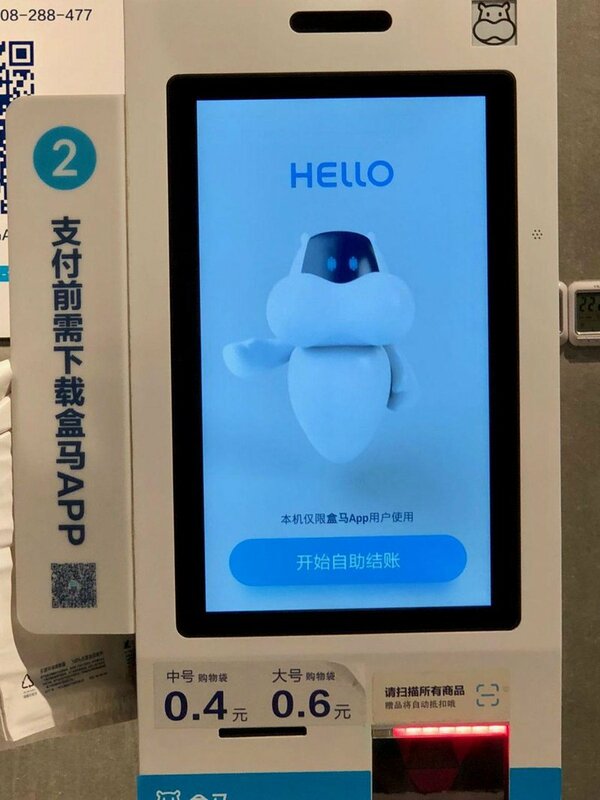 Via their Ling Shou Tong (“Retail Integrated”) program, mom-and-pop convenience stores are being digitally upgraded, plus selected locations for RT-Mart, Intime shopping malls and Easyhome all had a New Retail makeover for the 11.11 Global Shopping Festival. Which brings us to the other question. Is “New Retail” marketing hype, or is it really revolutionary? After all, British department store John Lewis has been at the forefront of omnichannel innovation for many years. And Nike’s just-opened new flagship on Fifth Avenue in New York - “House of Innovation 000” - promises a data-driven hybrid digital/physical experience, all linked through the Nike App. My view is that “New Retail” is not 100% “new”, and I don’t believe that Alibaba is claiming that it is totally unique. What sets it apart however, is the scale and speed of the implementation, and the variety of formats to which it is being applied. When you put it all together, “New Retail” is a critical chapter in the comeback story of physical retail, and the evolving narrative of the digitization of all retail. And as we all search for ways to describe what retail is today, and where it is headed, “New Retail” is a useful addition to the vocabulary. Nexxworks guest blogger Jon Bird writes about the new retail reality; what it means and what’s next. He is Executive Director, Global Retail & Shopper Marketing, for VML, an award-winning worldwide marketing communications company. Based in New York, he focuses on retail as part of the connected consumer experience. Prior to VML, he headed up Y&R’s global retail shopper marketing practice, Labstore, from New York. Before relocating to the United States from Sydney in 2014, Jon was a co-founder of retail specialist agency IdeaWorks in Australia and NZ, and was ultimately CEO and Chairman. He has also served as Director of Retail Marketing for M&C Saatchi. Jon is passionate and excited about retail and where it’s all headed, and he has spoken all over the world on the subject, including the National Retail Federation Big Show in New York; SxSW in Austin, Texas; WPP Global Retail Forums in Miami, Mexico City and Santiago; and the Budapest Brain Bar in Hungary. Find out more about Jon and what he does on www.vml.com.